Merry Christmas, everyone! Christmas means different things to different people. For some, it’s the celebration of Christ’s birth. For others it’s a chance to get together with friends and family, those you see every day and those that perhaps you have not seen in a long time. For many children, it might mean a visit from Santa Claus and gifts under the Christmas tree or next to the fireplace. But, no matter how you celebrate Christmas, or perhaps Hanukah, holiday celebrations are all about traditions. For me and my family, many of those traditions center around food. As a child, the Christmas season started the day after Thanksgiving with making cut-out sugar cookies. My mom rolled and cut the dough with a huge selection of cookie cutters, and the kids got to paint them with egg yolk paint and decorate them with a variety of candies and sprinkles. I must admit, some years the cookies looked a little better than others. But they tasted great, nevertheless. There were other baked goods; some homemade, like a variety of cookies, cranberry bread, and pumpkin bread. Later we added stolen and panettone, purchased from local bakeries. I didn’t do much baking this year. I attempted a gluten-free version of shortbread, a disaster that boiled over in the oven. I’m hoping to try again next week. Being new to gluten-free baking, I think I’d better stick to tried and true recipes until I get the hang of it. Anyway, with no baked goods in the house, I wanted our Christmas Eve dinner to be special. Growing up, Christmas Eve dinner was always Oyster Stew, a creamy, briny soup with plenty of oysters. We usually had it with a selection of cheese, sausage, and crackers, some sort of salad, and Christmas cookies for dessert. I continued the Oyster Stew tradition until we moved to Germany, where there were no oysters to be found. We settled on a Lobster Bisque made with the small frozen lobsters we could get at the Military Commissary. I shelled the lobsters and used the shells to make the stock that I used in the soup. What an eye opener. It was delicious! 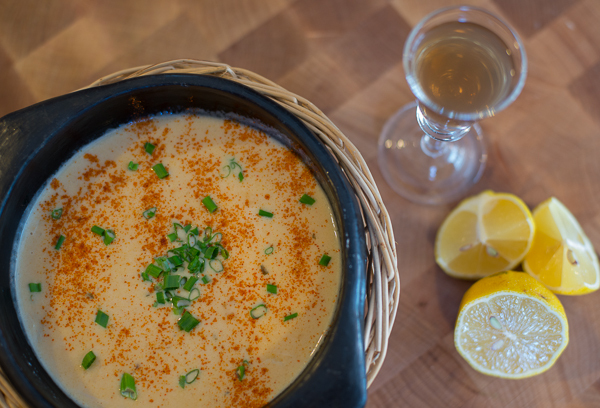 When we returned from Germany a year ago, we went back to the Oyster Stew. However, this year I wasn’t sure I would be able to find oysters; but finding crab in Virginia was a pretty good bet, so I decided on Cream of Crab soup. I don’t generally eat the Cream of Crab soup that is available in many of the local restaurants. You just never know what it’s going to be like — too floury, too thin, not a scrap of crab to be seen. In one of the restaurants I used to work in, they used canned soup and doctored it up with a little extra crab. So making my own crab soup seemed like a great idea this Christmas Eve. Although we had this soup for Christmas Eve, it’s great for anytime of the year; no holidays necessary. We had it as a light meal with a goat cheese salad, but you could also serve a small bowl as an elegant first course at a dinner party. 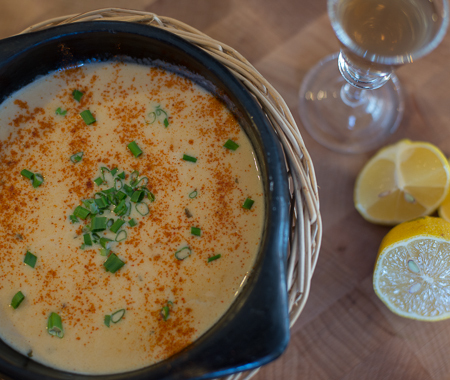 This recipe is not your typical Maryland–style cream of crab soup. Hence, the “Bisque” in the recipe name. I made my own fish stock for the soup, which I honestly believe will give you the best results. You can, however, certainly make a decent version of this soup using boxed fish or vegetable stock. When preparing the soup, I strained the stock after cooking the vegetables because I did not want the vegetables in the final soup. It’s a little more work, but I really believe the soup is better for it. I used a claw/back crabmeat mixture to make the soup and finished it with half a pound of jumbo lump crab. If you can’t get jumbo lump crab, just use 1.5-2 pounds of whatever crab you can get. This soup can be made gluten free by using gluten-free flour to make the roux. Melt 4 tablespoons (2 ounces) of butter in a soup pot, add the vegetables, season with salt and pepper and cook on medium heat until they are beginning to brown slightly. Deglaze with the wine, scraping any vegetable bits off the bottom of the pan. Cook until the pan is almost dry, then add the stock, bay leaf, thyme, and lemon juice. Bring to a boil, then reduce heat and simmer this mixture for 10 minutes. Strain the stock into a bowl, pressing on the vegetables to extract as much liquid as possible. Return the stock to the pan and add the pound of crab. Bring the stock to a boil, reduce heat and simmer for approximately 10 minutes or until you are finished with the next step. Meanwhile, in a separate medium size saucepan, melt the remaining 3 tablespoons of butter and add the flour. Stir to make a paste and gradually add the cream, stirring between each addition. Season with salt and pepper and cook this mixture on low for 10 minutes. Add a ladle of the stock mixture to the cream then pour everything back into the pot with the stock. Add the tomato paste and cayenne and stir to combine. Add the jumbo lump crab, stir gently to combine. Cook, stirring constantly just long enough to mix the ingredients and allow the additional crab to heat up. Ladle into soup bowls, add a teaspoon of dry sherry to each bowl, and sprinkle with chives or scallions. This entry was posted in Soups and tagged Bisque, Christmas, Crab, gluten free, Seafood, soup by Jeannine. Bookmark the permalink.